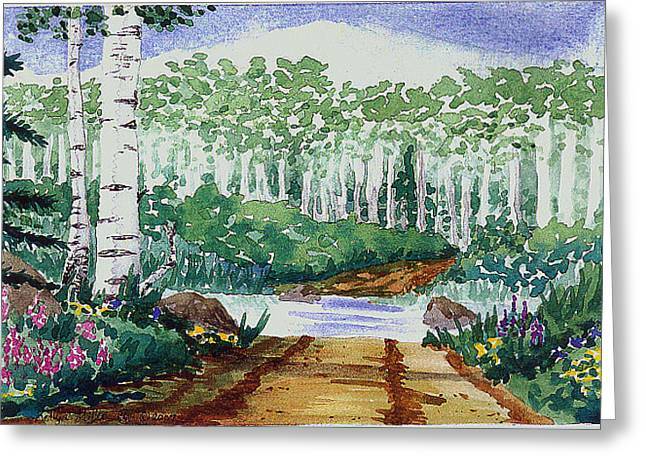 Wet Crossin is a painting by Kelly Miller which was uploaded on July 15th, 2010. 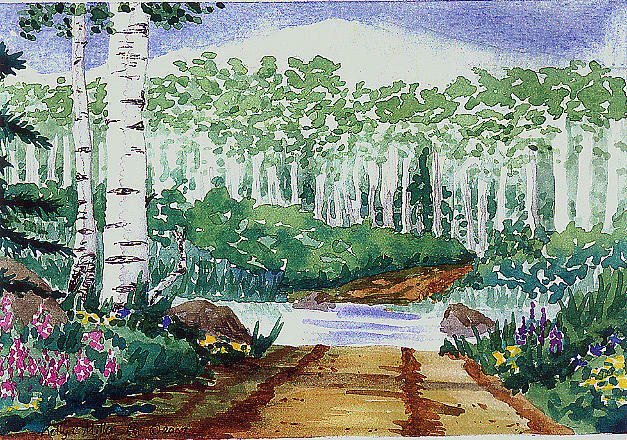 Watercolor on paper, Wet Crossin is a typical four wheel drive mountain road with a creek cutting through, surrounded by the beauties of wildflowers, aspen trees and evergreens. There are no comments for Wet Crossin. Click here to post the first comment.